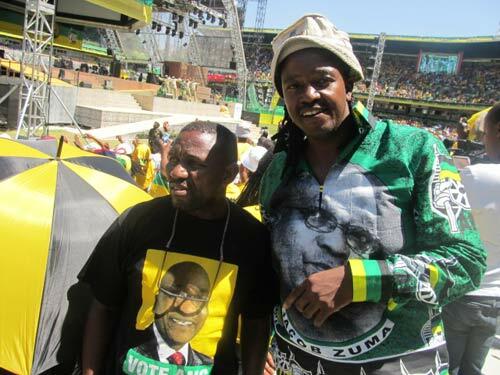 Author Neo Lekgotla Laga Ramoupi with Grant Shezi at ANC Centenary Celebration in Bloemfontein, SA. 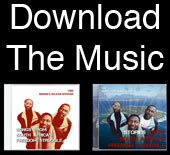 Robben Island Singers correspondent Neo Lekgotla Laga Ramoupi published an article in the South African magazine The Thinker about the role of music in the South African liberation struggle. Download the article here (2.7MB PDF). Thank you for sharing this article. I would like to be notified when the book is published. One of my musical teachers is Matlakala Bopape, director of Polokwane Choral Society. She has been invited by the ANC to publish a songbook of struggle songs as part of the 100th anniversary of the ANC.